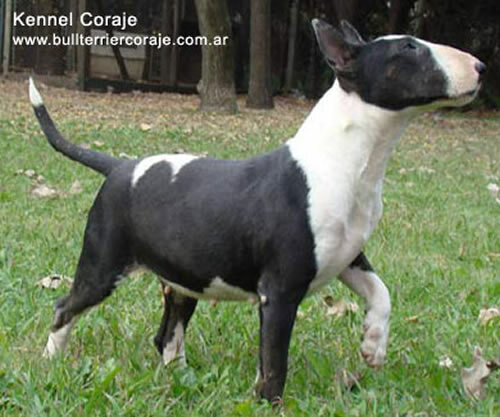 Bull Terrier (English) Breeders & Puppies For Sale If your a Bull Terrier (English) breeder and have Bull Terrier (English) puppies for sale, send us your details for free and we will add to our Bull Terrier (English) Breeders page. 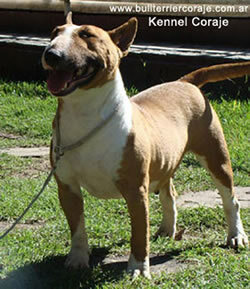 Bull Terrier (English) Rescue Center Visit the Bull Terrier (English) rescue centers if your looking to rescue a Bull Terrier (English), as well as learn more about the breed or just support the rescue centers for there hard work. 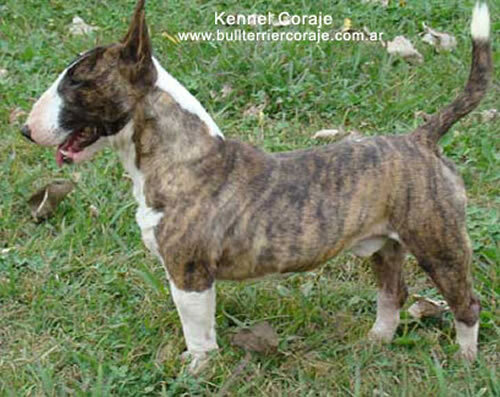 Origin / History Originates from Birmingham England where it was bred from crossing Bulldog and terrier type fighting dogs. Appearance Long head egg shaped head and down faced. Small thin prick ears. Long very muscular neck to a short strong back, wide chest. Legs are fairly long and strong boned. Colours Pure white, or white with head markings, or white and brindle, black, red as well as tricolour. Height and Weight 46 - 61 cm in height and 24 - 28 Kg in weight. Common Health Problems May suffer from hereditary deafness, as well as kneecap dislocation, heart problems, and skin problems. Living Conditions Suited to both life in the country or a town. If in a town house, needs one with a garden, and the garden itself needs to be securely fenced to prevent escape. Exercise Requirements Needs an average amount of exercise for a medium sized breed. Decent daily walk and time off lead are essential. Training Requirements They are not an easy breed to train, but its important they are trained in the basics and do best with firm, reward based training. Training may require a fair degree of patience. Life Expectancy 11 - 13 years. Grooming Easy care short coat just needs brushing a couple of times a week with a hound glove or a brush. CompleteDogsGuide Comment A powerful breed that needs a firm experienced dog owner that can provide the exercise and attention this dog requires. 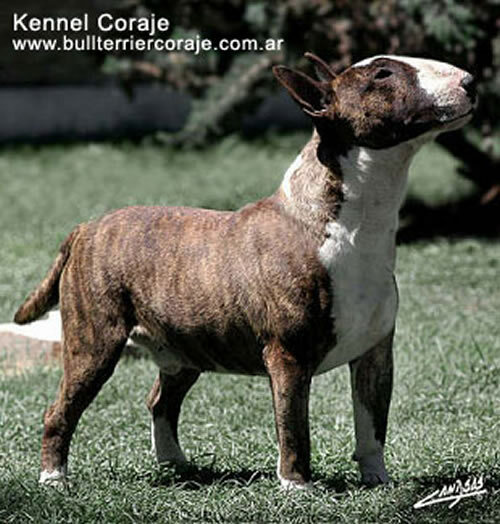 More Bull Terrier (English) Information: Check out our Bull Terrier (English) Clubs and links to more informative websites dedicated to the breed.